This week, we have been looking at companies who are “taking more care” in communities that they affect, either as suppliers to them, manufacturers for them or with facilities occupied in these locations. There is often benign neglect, if not ignorance, on the part of companies about their impact, which has led congress to mandate reporting where it might goes as far as supporting terrorists or rebels. It is virtually impossible for ignorance or disregard to happen if practices that affect caring about the supplier, and the region they are in, are in place. Science even says this is the case. Dev Patnaik in his book with Peter Mortensen, Wired To Care, ties together the science of the brain with business. In recent years, the discovery of mirror neurons explains why it is harder to hurt or let down people we connect with directly. Mirror neurons replicate in our heads what we see others experiencing. Even just describing it in a visual way can cause a reaction in the listener. These neurons in the “think before you act” part of the brain are used to pick up information and clues about others and to experience how their lives work. We can literally FEEL their world. It is the source of the ability to put ourselves in other’s shoes. Patnaik and Mortensen give dozens of examples of where this has proved successful for businesses. Harley Davidson hires their customers. Prospective employees better show up on a Harley for an interview. Ayedia Zildian, the famous maker of cymbals works so closely with drummers that Ringo Starr, Dave Krupa and Buddy Rich, come to the factory to have them custom designed. 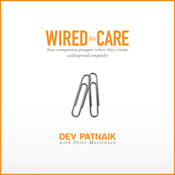 Patnaik and Mortensen propose that a product or service should feel like a great gift to the customer. They need to feel the company understand them so well that it feels the company make it precisely for them. This can only happen if the business structures work so that employees of the business can know them well‑not through digested data, but directly. The strong emotional component of this way of working affects the brain of the buyer and the creator. It gives the maker a strong sense of personal purpose and mission, bringing new meaning to their work. Now if we can just get companies to apply the same ideas to suppliers to the business, then we can easily know what affect the sourcing choices being made are having on a country, neighborhood and the natural systems there. 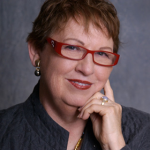 Carol Sanford is a business development consultant and educator to Fortune 100 executives and Rock Star Entrepreneurs, the author of the multi-award winning books The Responsible Business and The Responsible Entrepreneur.